The Point-in-Time Count is a one-day, statistically reliable, unduplicated count of sheltered and unsheltered homeless individuals and families across the United States. Only by knowing who, where and how many people are experiencing homelessness can we plan and identify the resources needed to move these individuals and families into permanent housing. With local efforts led by the Regional Task Force on the Homeless, the count provides a snapshot of who is homeless on a given night. The information collected is then used to plan local homeless assistance systems, to tailor programs to meet existing needs, and to raise public awareness of homelessness. 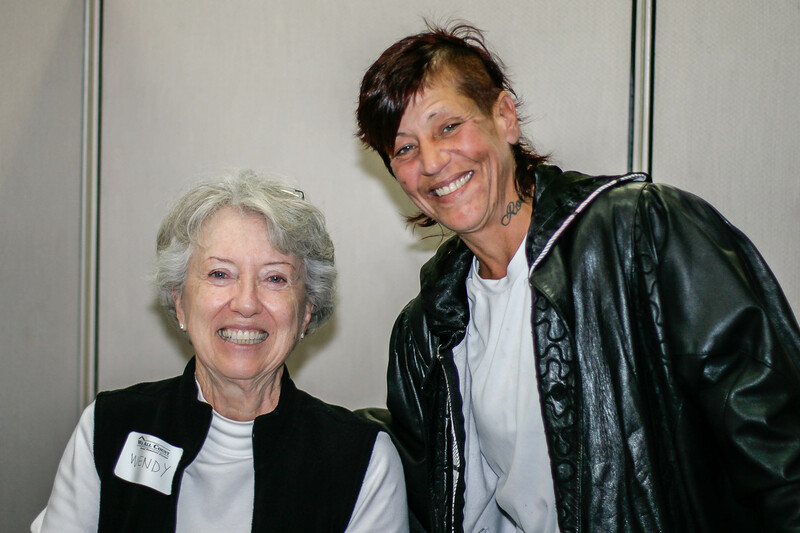 This year, Interfaith had over 60 volunteers participate in our Escondido count-site. Volunteers participated in both the actual count, during which they drove around the region identifying the number of homeless individuals in the area, as well as in an interview portion, during which they surveyed individuals about their experience with homelessness. Participating clients received new socks, a hot meal and Subway gift card. While results from this year’s Point-in-Time Count won’t be available until later in the year, Interfaith appreciates all of the volunteers who participated in the event and continually work to end homelessness in Escondido. We appreciate your support of Interfaith and our community!